Historic England protects England’s important historic places. Some are rather unusual and eccentric landmarks. These four, considered “historic”, may surprise you. Currently hidden by scaffolding and restoration works, this landmark can rightfully claim to be one of the most important historic buildings of the modern world. 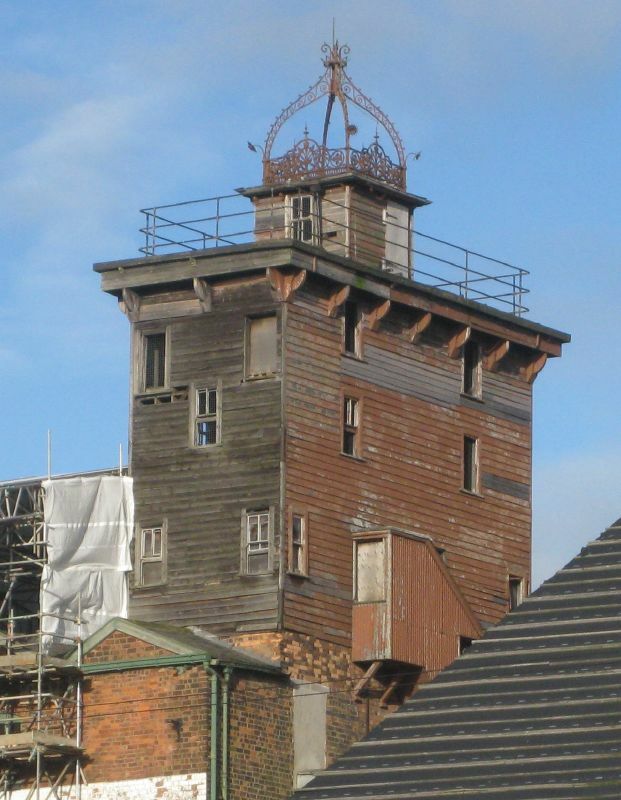 The flax mill, one of eight buildings at the site on the northern edge of Shrewsbury, is the world’s first iron framed building. This ungainly, utilitarian structure, erected in 1797, paved the way for the skyscrapers of the modern city. While pointing toward the future, the mill was also tethered to the past. The free visitors’ centre relates the story of how flax was processed, the change from flax processing to a maltings and the sadder, darker story of dangerous working conditions at the then state-of-the-art steam-driven flax mill. Working under horrific conditions, child labourers brought in from the local poorhouse suffered serious injuries and physical deformities. 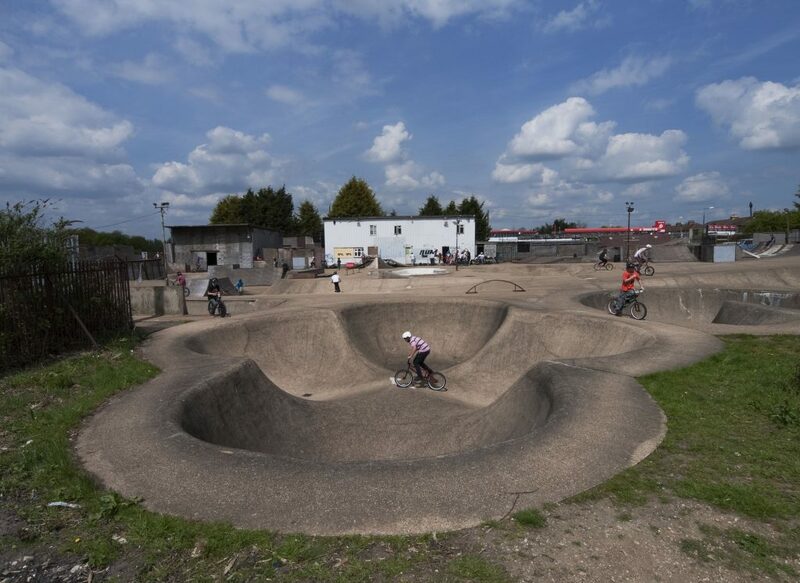 The Rom Skatepark (pictured above, courtesy of English Heritage) is considered the best and most complete surviving skatepark from the earliest days of the sport in the UK. Built in 1978, it was designed by by Adrian Rolt of G-force, the leading skatepark designer of the late 1970s. The park is considered a landmark of late 20th century youth culture. The Pool, a double bowl resembling a swimming pool and based on early California skateboarding locales. The Performance Bowl,a large, deep bowl with a long, wedge-shaped entry ramp. The Slalom Run and Freestyle Area, a long ramp that descends into a large shallow bowl used for freestyle tricks. The Snake Run, a serpentine run with a shallow end, gradually deepening at its end. The Four-Leaf Clover,four small bowls of various different depths, arranged like a clover leaf. The Half-Pipe– a long, deep capsule shaped bowl with vertical walls on its long side. How to Get There: The Rom Skatepark is on Upper Rainham Road, Hornchurch, Essex RM12 4ES, about 20 miles east of Central London off the A13. 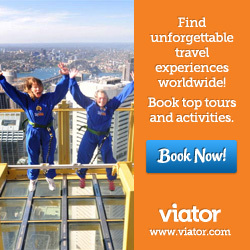 It’s also reachable by London Underground. Take the District Line toward Upminster to Elm Park, It’s about a 15 minute walk from the station. Not all listed landmarks are buildings, or even structures. Who doesn’t recognize the pedestrian crossing near the Abbey Road Studios in London? The Zebra Crossing is part of the listing for the Abbey Road Studios, made famous outside the music industry by the Beatles final album. The Beatles made 190 of their 210 recordings there, including that final album, Abbey Road. Among music experts, Abbey Road was already famous long before the Beatles. British composer Sir Edward Elgar open the studios in 1931. Hidden behind the facade of a Regency House in London’s St John’s Wood. the studios are believed to be the world’s first, purpose built recording studios. Marlene Dietrich and Fats Waller recorded there. So did with Pablo Casals and Yehudi Menuhin, Glen Miller, Cliff Richard, Connie Francis, The Hollies, Gerry and the Pacemakers, Pink Floyd, Hank Marvin, Deep Purple, Morrisey, Kate Bush, Duran Duran, Elkie Brooks, Radiohead, Disneyland Paris, Depeche Mode, Oasis, Alanis Morissette, Pulp, Chaka Khan, Kanya West, U2, Mike Oldfield, Sting, Adele, Kylie Minogue…Can I stop now? How to Get There: The Studios are on Abbey Road (natch) at Number 3, in the St. John’s Wood neighborhood of London. The nearest London Underground station is St John’s Wood on the Jubilee Line and then its a short walk southwest on Grove End Road to the intersection of Abbey Road and the famous crossing. The former Mobil Pegasus petrol station, a listed historic monument. ©English Heritage. In the 1960s, what English Heritage refers to as “The Age of the Motorcar” was just getting underway for most average people in the UK. Motorways were being built at a rapid pace and more and more people fell under the spell of the open road. 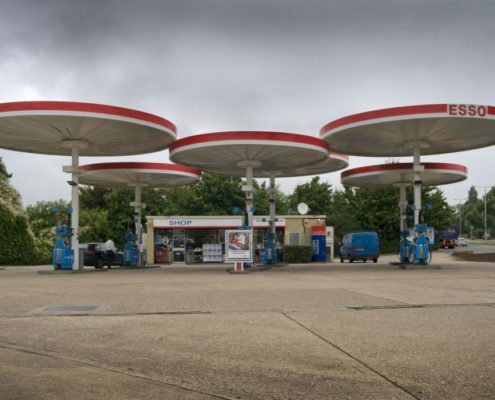 The overlapping parasol canopies of this Mobil-Pegasus filling station, designed in the late 1960s by American modernist architect Elliot Noyes, expressed an optimistic, fun view of the future. The design was adopted for Mobil stations all over the world, but this example in Leicester is the only intact station of its kind left in the UK. Its listing is part of an English Heritage project on the impact of the car on the historic environment, highlighting the best examples of the architecture of the time. In 2016, the station design was listed as number 6 in the world’s 1o best filling station designs by DesignCurial. How to Get There: The station, which is no longer owned by Mobil/Esso, is located about 1,000 feet north of the Red Hill Circle (the intersection of the A6 and the A563) in Birstall, a suburb north of Leicester. I love the filling station iconic landmark – I’ll have to try to check that out next time I’m in the U.K.! Tricky scams that target tourists Pudding, Pie or Tart? So What is a Bakewell?